What Will Result from the Iran Uprising? In this series, I have been addressing the spontaneous protests that began in Iran on December 28, 2017, in response to rising economic distress and the corrupt government. At least 22 people have been killed—likely a higher number is true—and a minimum of 1,000 arrested, most under the age of 25. What is the goal of the protestors? The demonstrators have no clear vision or clear demands. These demonstrations are the groans and pains of society. The people are crying out because they feel pressured economically and see no way out. They see social injustice and oppression and no hope for any better future. We must remember that this uprising is not like a Western demonstration, where people fill the streets to protest an issue or stand up for a cause—and then go home. These Iranians know that they can be killed for protesting. Several have been killed already; thousands of others are under arrest. The protestors’ hopelessness and frustration are so deep that they do not care anymore if they die. Will violence and arrests stifle the uprising? The demonstrations have no leadership that can guide them toward a common goal; they are just protesting out of pain, hopelessness, and desperation. Therefore, the movement is not coherent yet, and it has no clear direction to keep it going against repressive violence. So it is very likely that it will be stopped through upcoming violence. When the uprising quiets down, will that be the end of it? Even if the demonstrations quiet down, the divide between the people and the government will deepen. The movement will continue as an undercurrent that will show its head again later, stronger than before. One thing is for sure: the people will no longer be deceived by the “moderate clergy candidate” political play by the clergy. This political show has kept the people entertained and busy for the past 20 years. It will not work any longer. What will result from the uprising, in the near future? We will most likely see a surge of violence. Plainclothes mercenaries from Syria will shoot and kill hundreds on the streets just as they did in the 2009 uprising. Many young people will be arrested, tortured, or simply disappear. The University of Tehran is already trying to track some of its students who have disappeared. The Supreme Leader, to appease the people, may blame the situation on a few people in government positions, order their arrest, put them on trial, and execute them. This way, he can show the people that he has heard them, cares for them, and is taking care of the problems of corruption and social injustice. By eliminating these few, Khamenei will both appease the people and at the same time remove some of those who are causing him trouble. 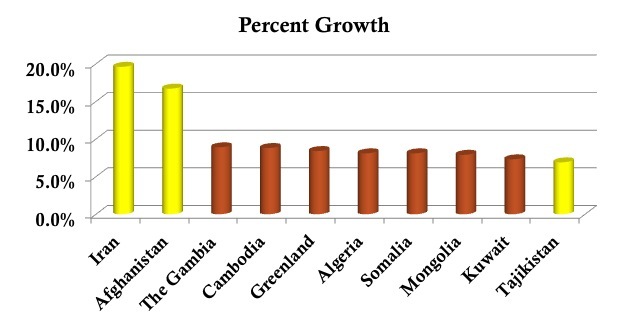 One of these potential figures is the ex-president Mahmoud Ahmadinejad. He has lately been causing some trouble for the power structure. His life may be in danger in the next few weeks and months. The government may blame this mess and corruption on him, arrest him, and put him on trial. What is Iran Alive Doing? God has a plan for Iran and is active in the midst of this chaos and suffering, and we all need to align what we do with what he intends to do in Iran. We teach them that to do the will of God, we need first to have the mind of God and the heart of God. Iranian family watches the Network 7 broadcast. We know that Iran will be saved according to Jeremiah 49:38, and this is just another step towards that end. Every day in our live program, we look at the events of the day from a biblical point of view. We evangelize by telling people that they will be again disappointed if they put their hope once again in men. We tell them that if they do not change, then even if the government changes, they will still be miserable. We point out that if they have personal struggles, if they have marriage problems, and if they have an addiction, a change of government will not solve that. Their only hope is Jesus Christ, who can make a true and eternal change both in their lives and also in the society. We also teach Christians to be salt and light in the midst of this darkness. They must be active in helping people who are suffering and at the same time share the gospel by telling others that only Jesus is the true solution to the problems in Iran. Many families have been torn apart. Many reports tell of people congregating around Evin Prison in Tehran, hoping to secure the release of family members. Some young people have been killed, and many have disappeared. Please pray for these young people and their families. People are also suffering economic hardship, no longer able to buy milk, cheese, or eggs. Pray that they would come to know that God loves them and cares about their situation. Pray that the leaders in Iran will have compassion on their people and instead of treating them as thugs, accusing them of being CIA agents, and heartlessly killing them, that they would care for their felt needs. This is a great time for Christians to shine. Pray that the 2 million Christians in Iran will reflect Christ’s character by their love and actions. Also pray they will bring true hope and lasting change to the lives of millions by sharing the gospel. And finally, please pray for Iran Alive. God has graciously positioned us to have a tangible impact on at least 6 million people according to a recent poll. This is the number who watch us regularly and for whom we are their favorite channel. Pray that the Lord will give us wisdom and provide for us financially so that we can have maximum impact during this historic time in Iran. Look for parts 4 and 5 of this series later this week. CNN, Laura Smith-Spark. “Iran Protests: University Tracks Detained Students.” CNN. Accessed January 9, 2018. This entry is part 2 of 4 in the series 5 Things About Hassan Rouhani's Visit to the U.S.
Rouhani came to give a false sense of hope to the U.S., while keeping his support at home with the Mullahs…both of which he accomplished. As I mentioned in my previous post, Hassan Rouhani is an expert negotiator. He is also a very intelligent and a savvy politician, with great skills of persuasion and influence. Following in the footsteps of the much less prudent Mahmoud Ahmadinejad, Rouhani had very little work to do in order to establish himself as the more civil, if not congenial, face of Iran. Ahmadinejad also managed to estrange himself from the Supreme Leader and Mullahs of Iran through his unpredictable public speeches and unwillingness to stay within the boundaries of his role. Consequently, Rouhani had very little chance of being anything but a perceived conspicuous improvement over his predecessor in the eyes of both the U.S. and Iran. The combination of his skill set as a deft negotiator, (in the international nuclear development arena no less), and the instant benefit of the doubt he has been given since he has to be better than the extremist before him, set the stage for Rouhani to please everyone. Promising to negotiate on Iran’s nuclear program in “good faith,” Rouhani managed to commit to nothing measurable or tangible, but still give the impression of cooperation and the willingness to change. Did I mention that he is an expert negotiator? Having left the U.S. without committing to anything concrete and charming the world all while standing up the President of the United States of America and receiving his phone call as he left the country, Hassan Rouhani earned tremendous points with the Supreme Leader and Mullahs in Iran. Please join me in praying for our world leaders to have great wisdom and discernment as they navigate the rocky terrain of negotiations with Iran. Only He can steer us on the right path…that which leads to the foot of the cross. This entry is part 1 of 4 in the series 5 Things About Hassan Rouhani's Visit to the U.S. If this is the way the majority of the world sees Rouhani… the world needs to take a closer look. 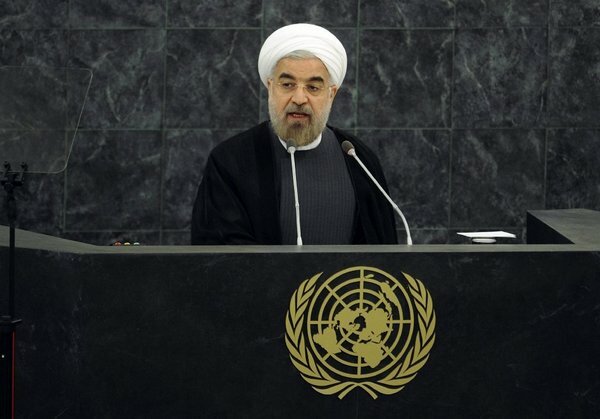 Rouhani’s involvement in Iran’s political landscape predates the Islamic Revolution of 1979. As a young cleric, Rouhani regularly gave speeches against the government of the Shah of Iran, whose cooperative posture with the U.S. did not please the Islamic clergy. After the revolution, Rouhani established himself in Ayatollah Ruhollah Khomeini’s inner circle and quickly earned prominent positions within his regime. In 1989, Rouhani was appointed as the first Secretary of the Supreme National Security Council (SNSC), a position he kept for the next 16 years. Known for his negotiating prowess, Rouhani garnered the nickname “Diplomat Sheikh” by Iranian news media. Through the confirmation of Ayatollah Ali Khamenei, Hassan Rouhani was placed in charge of Iran’s nuclear case in 6 October 2003. His objective was to lead a team that would deflect attention from Iran’s newly discovered nuclear development and run interference with the International Atomic Energy Agency (IAEA) that would prevent the rapid acceleration of allegations against Iran resulting a report of Iran’s nuclear case to the United Nations Security Council. Rouhani and his team were successful in this endeavor until he stepped out of the role in 2005 as a result of the election of Mahmoud Ahmadinejad and subsequent disagreements between the two leaders. Ahmadinejad’s antagonistic demeanor and unwillingness to fulfill his role as diplomat to the West contributed to the contentious posture, which has resulted in heavy sanctions and pressure from the U.S. and it’s allies. It is this same Rouhani who is now representing the nuclear intentions of The Islamic Republic of Iran to a leery, yet hopeful, audience of world leaders. Rouhani has vast experience in the art of deception. He is a seasoned expert and adept at creating smokescreens to cover up Iran’s nuclear activities and intentions. His skills in delay techniques may be sufficient to buy enough time for his superiors to finish the development of nuclear weaponry. I pray that President Obama and his counterparts in the U.N. have a working knowledge of Hassan Rouhani’s resume and credentials and the wisdom to treat his statements with great caution and apprehension.